Not so long ago, the Japanese astronaut Norishige Kanai, who arrived on board the International Space Station, said that in just three weeks his growth had increased by nine centimeters. This is what the Japanese said on his Twitter page. It is known that in the conditions of microgravity the ISS crew members, as a rule, grow by one or two centimeters. 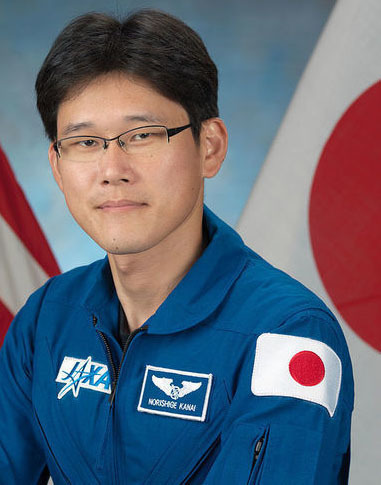 According to Norishige Kanai, since his arrival at the ISS, his growth has increased by nine centimeters. In the Japanese aerospace research agency, JAXA noted that there has never been a noticeable “jump” so far. Kanai joked that he had not grown so since high school, and also expressed concern that now he was not going to fit in the Soyuz spacecraft when it was time for him to return to Earth. Norishige Kanay, along with the Russian Anton Shkaplerov and American Scott Tingle, was taken to the International Space Station on December 19, 2017 by the Soyuz MS-07 transport spacecraft. In addition, astronaut Alexander Misurkin, astronauts Mark Vandey Hey and Joseph Aqaba are working at the station as part of the ISS Expedition 54/55. Many experts consider the lack of gravity in space one of the main problems that future conquerors of Mars will face, if the solution of this problem is not offered to the first manned mission to the Red Planet. In particular, experiments have shown that long-term presence in conditions of weightlessness leads to weakening of the back muscles, which can be observed even after a long time after the person returns to Earth. Moreover, some researchers do not exclude that during a really long time in a microgravity environment, a person’s perception of reality can change and he can stop seeing nearby objects. As one of the potentially effective methods for creating artificial gravity, the installation of a centrifuge on spacecraft is considered. However, it is believed that even more serious threats to participants in interplanetary flights than microgravity can become weakened by space travel immunity (many microbes develop in space conditions no worse than on Earth) and, above all, dangerous cosmic radiation.